Here’s a bit of a preview of what’s coming this year. First of all, I’ll be doing a bunch of portrait quilts. You know, those are the ones inspired by a photograph and then rendered into fabric. Coming up are twins, a dog, a snowy landscape, and more. Here’s a tracing of one I’m working on now which has holding hands and wedding rings showing. It’s in pencil so it doesn’t photograph beautifully just yet. 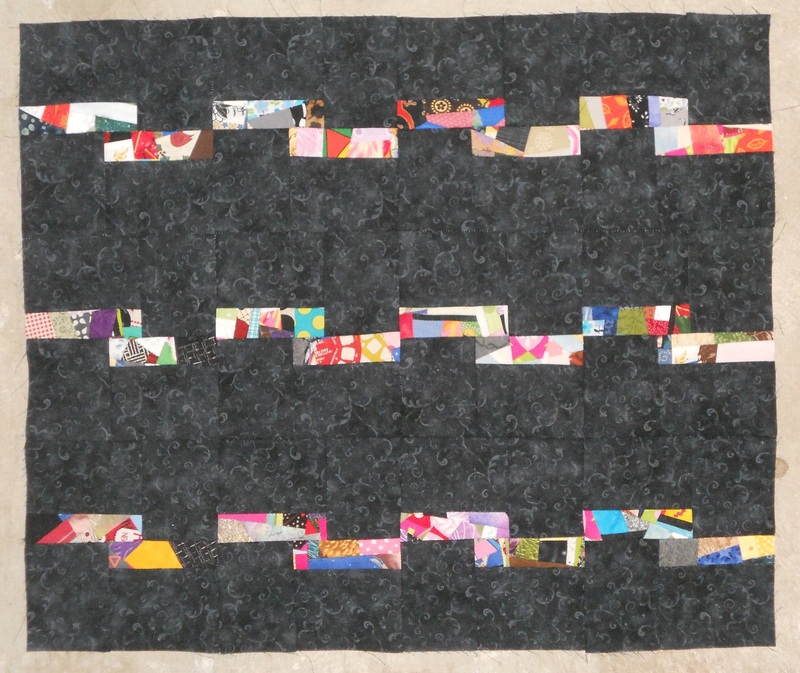 Also, one of my sample quilts this year has to feature my niece Mary. ‘Cause I love her and she’s flipping adorable. So here’s a photo from Halloween that I’ll be using as inspiration. I’m also working on making my crumbs customize-able. I think they’re in the top two cool things I do with my quilting and hadn’t figured out a way to make them in a cost-effective way. Worth my time to make the stuff and worth your money to buy them. 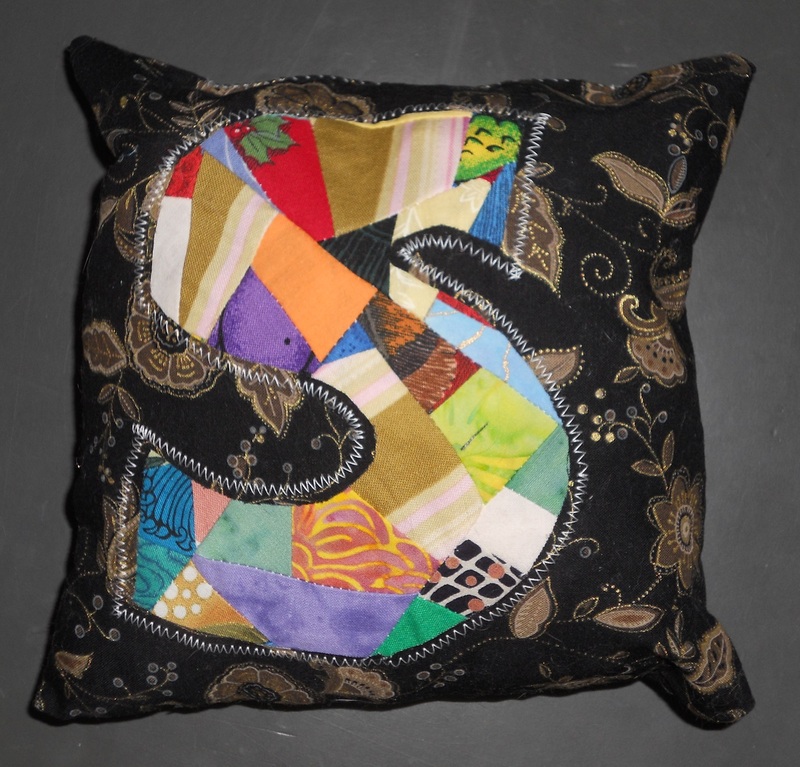 Enter the letter pillows! Soon these will be available to order in my etsy store. You can buy them individually or as a group to spell out names, holidays, important dates (numbers will be available, too), and more. I’m also working on a way to stretch these across canvas for an on-the-wall look rather than the pillows’ on-the-shelf thing. Another thing I’ll be playing around with (and hopefully making beautiful wear-ables out of) is old wool, cashmere, and silk items. I’m experimenting with up-cycling in the style of the artist Katwise. What else? Tons, I’m sure! I’m learning new things all of the time. I think as an artist it’s important to explore new things and learn from other artists. Plus just play around and see what happens. 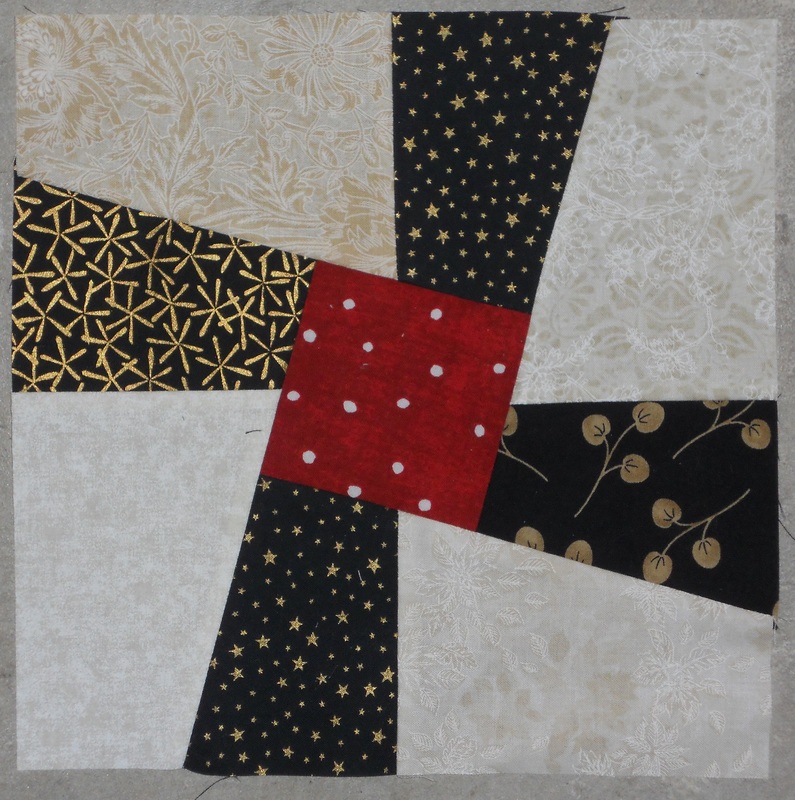 That’s what I did with this doll quilt piece that was entered into the Project Quilting Challenge this week. It’s made of strings, which are skinny long strips. 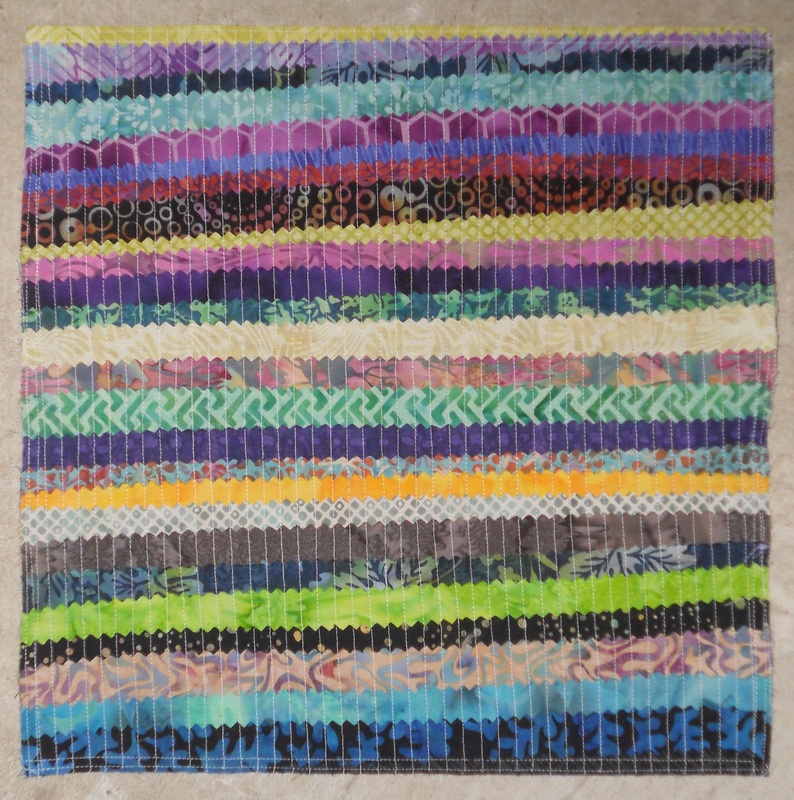 I’m not in love with the final quilt but it was fun to experiment and stretch myself. 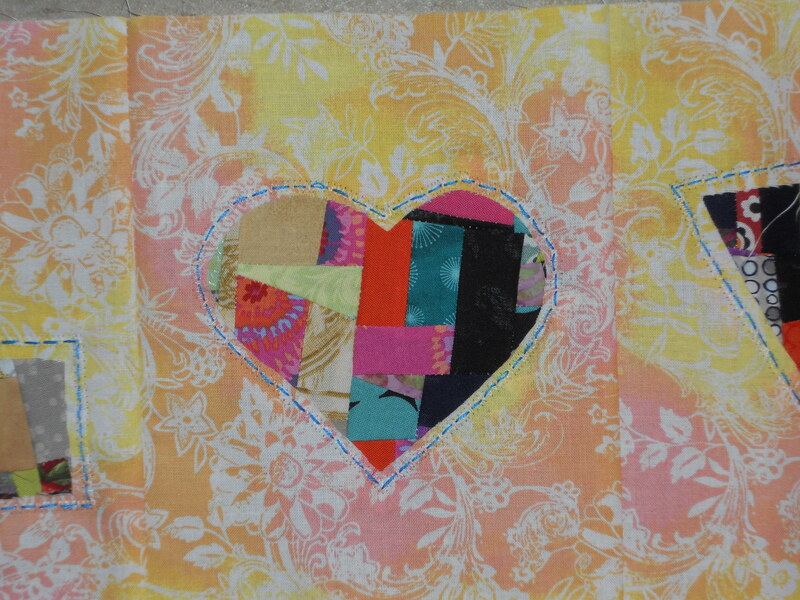 There are bunch of quilts finished in this challenge that are gorgeous! See and vote for your favorites here. I took the “Twisted Sisters” class from Ami Simms on Saturday. It was so much fun! I initially wasn’t thrilled with the quilt design but learned how I can make it my own and am sure I’ll love the thing once it’s all put together. I also learned a bunch of tiny tips and tricks that make all the difference when you’re sewing. For example, if your selvage strips have been cut off the way you find the straight of grain (which is parallel to the selvage) is to stretch a tiny section of the fabric with your fingers. The direction that has the least stretch is the straight of grain. I predict this’ll be a great year for me personally and QUILTArtbymegan as well. Stay tuned! You won’t want to miss any of it. This entry was posted in Applique, Art, Artist's Studio, Collaborations, Crumb Quilting, Custom Work, Inspiration, Portrait Art Quilts, Signature Quilts, The Business, Tips, UFOs and tagged 2014, Ami Simms, baby quilt, canvas, cashmere, cost-effective, crumb, crumb quilts, crumbs, crumbs quilts, custom, custom art, custom quilts, customize-able, dog, dogs, doll quilt, embroidery, etsy, experimenting, facebook, finding the straight of grain, holding hands, Katwise, koala, lamb's wool, landscape, letter pillows, marketing, Mary, no selvages, pencil, portrait quilts, preview, Project Quilting Challenge, quilt, QUILTArtbymegan, quilter, quilting, quilts, recycling, scarves, silk, snowy landscape, string piecing, sweaters, tips and tricks, tracing, twins, Twisted Sisters, up-cycling, vote, wedding rings, wool on January 13, 2014 by quiltartbymegan. Thanks for turning me on to Katwise. Very cool stuff – looks like fun to make some, but I’m not sure I have the time. I’d love to see yours if you make anything! You are on a roll this year – good luck! Hooray for good years! All your plans and projects sound wonderful. Love the letter pillow. I look forward to watching as the year and quilt art unfolds. I love the twisted block!! Phone: Email or message me for number.